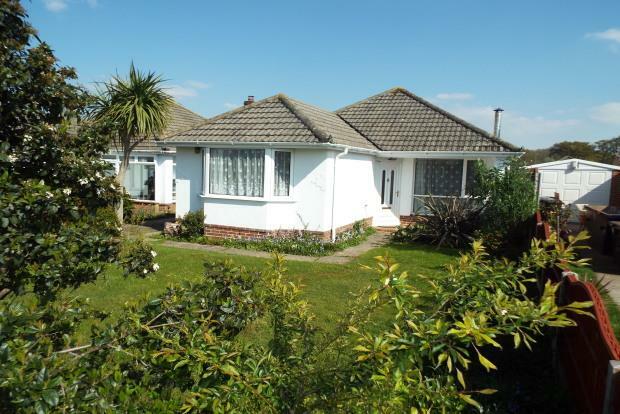 2 Bedroom Bungalow To Rent in Bournemouth for £1,200 per Calendar Month. Palmer Snell Lettings are delighted to offer for rent this fantastic two double bedroom bungalow. The property is in a great position on a quiet road and is provided with driveway parking and garage. The property is offered with a modern style kitchen including integral units being the cooker, hob and washing machine. Going through the property you will come to the large and open living area having the benefit of a log burner for the colder nights. The rest of the living areas and bedrooms in the property have laid real wood flooring and the second double bedroom is located off the living area, towards the back of the property. At the front of the property you will find the main large double bedroom, that looks out over the private front garden. The property has the benefit of a seperate dining room, which is rarity in the local bungalows. The bathroom is provided with shower over bath and is of a modern standard. The rear of the property has an extremely large patio area, which gets good sun in the summer months, perfect for a barbeque. From the patio you have a lawn area which has recently gone through some works and is currently being seeded, ready for the summer months. The property is available from June 2019 and will be a long term let. With regrets because of the wooden flooring, no pets.